We would love for you to contribute as well! Visit Guest Columnists for more information. 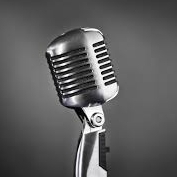 Kurt Bell is a highly skilled and experienced interviewer, who also has skills such as producing professional quality presentations and engaging educational tutorials. He also has extensive experiencing in planning, shooting and performing in more than 3000 standalone video productions. Rusty Cooley has been playing guitar for the past fourteen years and has been teaching guitar for the last ten years. He is also a teacher for the National Guitar Summer Workshop. He has gigged with the Houston, Texas bands Revolution, Dominion and most recently, OutWorld. 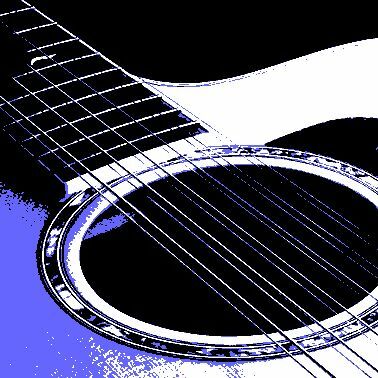 Cooley has also produced "World Class Guitar Techniques", a half-hour guitar program for KTLJ (Channel 22) in Houston. 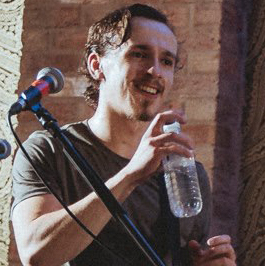 Curtis, a guitarist and composer from Playa del Rey, California, has a long-term goal to write and record great music and share it with as many people as possible. His eponymous debut CD features thirteen instrumental tracks and two vocal numbers. Patrick DeCoste is a Boston area guitarist whose original music on his debut CD features well-rounded exploration, tasty lines and burnished production, giving one's imagination license to wander..
His latest CD is entitled "Inside The Unsaid". Rick Del Savio is a jazz guitarist who pours his influences (including R&B music in general and Stevie Wonder) into his recordings. His latest CD is entitled Evolution. Ray DeTone is a professional guitarist featured in Guitar Player magazine (March 1998). Ray is an eclectic player, fusing the elements of rock, blues, progressive, country, metal, alternative and even bluegrass, creating a signature sound that stands out amidst todays' onslaught of redundancy. His debut instrumental CD is entitled "Once More...With Feeling!!!". Scott Hughes is one of New England's busiest guitar teachers, maintaining a roster of 50-60 private students and a part-time faculty position in the University of Maine music program. The July 1997 issue of Guitar Player featured him in the "Spotlight" column saying, "...strong vestiges of Holdsworth and Beck throughout...a tasteful player with a promising musical personality...his compositions possess an appealing, narrative quality." Scott endorses Brian Moore Custom guitars and DiMarzio pickups. Don Lappin has played guitar for 24 years and holds a Bachelor's degree from Berklee College of Music. He has performed professionally since the age of 11 and has taught for over14 years. His debut "Fine Lines" was released in 1998. Scottish guitarist Gerry Magee has recently completed work on his debut solo album, entitled "The Middle Pillar". He has been teaching guitar privately for five years to students of all styles and abilities. Prior to recording "The Middle Pillar", Gerry performed as a guitarist and composer for the group Serenade on their second release, "The 28th Parallel". The late Colin Mandel was a guitarist out of Los Angeles and a graduate of the Berklee College Of Music. During his career he had been featured as new talent in Guitar Player and Guitar World Magazines. His instrumental CD is entitled "Strange and Savage Tales...". Andy Martin is a guitarist from California whose instrumental compositions exhibit depth, taste and original expression with a wealth of harmonic content. His latest CD is entitled "Brother From Another Mother", featuring his two-handed tapping technique. Joe Matera is an Australian singer/songwriter, rock guitarist and recording artist for European based record label W.A.R Productions. As a 25 + year veteran of countless original and covers outfits, his impressive playing CV includes, being lead guitarist in Australian rock outfit Geisha (2007 - 2010) and founding lead guitarist for classic rock band Double Vision (2003 - 2008). He has also contributed guitar to a number of various projects and other artist recordings and has also worked with legendary US producer Tom Werman. Jason Pruett is a guitarist from Antioch, California dedicated to the improvisational approach to guitar playing. He plays bass, acoustic and electric guitar and lists among his many influences: Jimi Hendrix, Led Zeppelin, Metallica, Lynyrd Skynyrd, and Joe Satriani. Ken Rubenstein is a self taught guitarist and composer originally from New Jersey, now living in Portland, Oregon. In the past, Ken has received praise from such publications as Guitar Player Magazine. In fact, he was the last and perhaps most controversial International Soundpage Winner for Guitar Player Magazine, featured in the October '91 issue. With a decade of playing under his belt, Sam Russell has been pretty busy with his guitar playing. 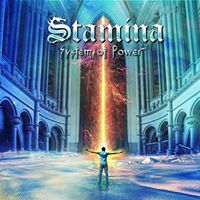 Attending BIMM after university to study music, Sam then went on to study with Tom Hess and Luca Turilli while teaching guitar in West London. Russell has also been attending workshops with Bumblefoot and Ola Englund and recently played with Steve Vai, as well as releasing three books - Bach's first 3 cello suites for electric guitar (suites 4-6 coming out early 2015). 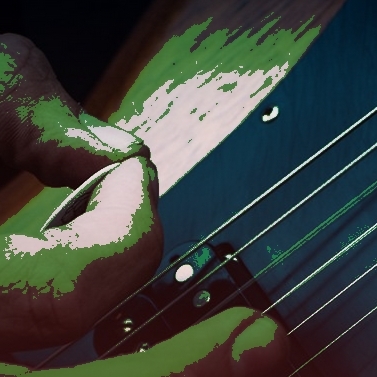 He has recently published an eBook: "The Ultimate Guide to the Modes of the Major, Harmonic Minor and Melodic Minor Scale", which you can get for free here. Guitarist Jeff Sanders plays psychedelic, experimental, progressive zen guitar rock with a strong emphasis on paranormal phenomena, spiritual expression, ethereality and trippiness. His discography includes "Voices" and "Improvisations From A Void". Jeff Scheetz is an instrumental rock/blues guitarist based in Kansas City, Missouri, with multiple CDs to his credit. His Christmas/Holiday project is entitled "Christmas... At Last". David Sertl is a composer and guitarist based in Vienna, Austria. He also runs David`s Music Guild, the Youtube channel tellign you everything you (n)ever wanted to know about music. He independently released his album "Elegie" in April of 2015, which is available from Amazon and other online outlets. 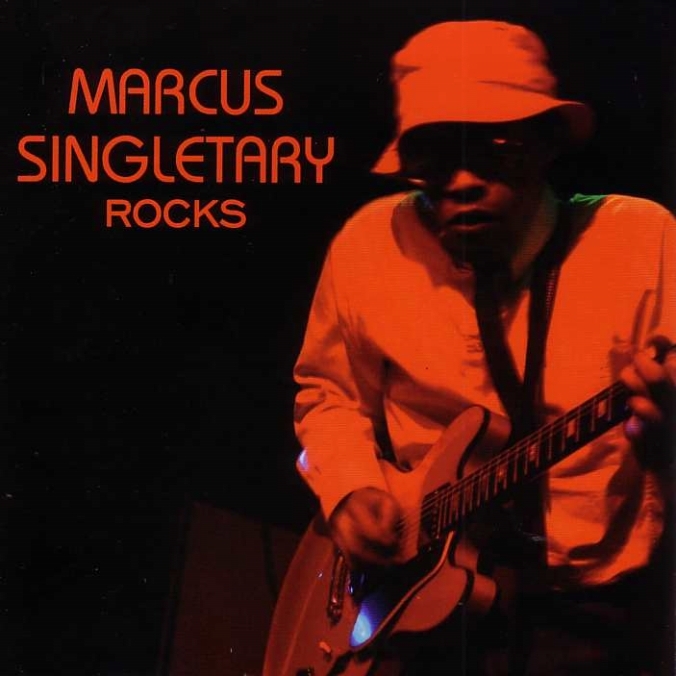 Marcus Singletary is an American musician, producer, songwriter, and entrepreneur. He is the host of the podcast Far Out Flavors, heard on KCAA Radio 1050 AM/106.5 FM in the Inland Empire region of Southern California. He is also a recording artist, with numerous solo records to his credit. Kevin Slack graduated from the College-Conservatory of Music at the University of Cincinnati with a degree in Jazz/Studio Music in 1994. He has taught lessons at Buddy Roger's Music in Cincinnati for the past twelve years. After playing in bands for many years, Slack is pursuing a solo career, and has an instrumental guitar CD in the works, due out in late 1999 or early 2000. Terry Syrek is a guitarist with 17 years experience teaching, both privately and in a classroom environment, and is senior faculty at the National Guitar Workshop. His is the author of the "Shred Is Not Dead" book abd DVD guitar instructional series on Alfred Publishing, as well as the author of the "Unearthed Arcana" instructional CD-ROM. His latest CD is entitled "Aum". Ron Thal is the head of the music production company hermit inc.
His Bumblefoot CD "Hands" was released in March 1998. 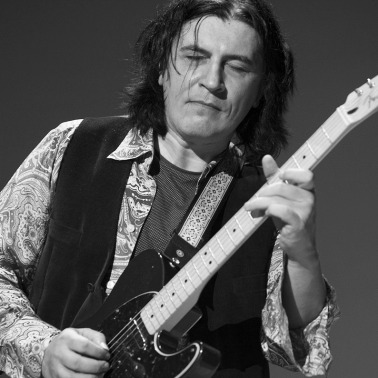 Andre Tonelli is a guitarist, composer, producer, and teacher renowned around the world. His music has been heard by millions, either performed live, on radio stations worldwide, or at other events. His latest CD is entitled "Power World Fantastic", an all instrumental guitarfest. 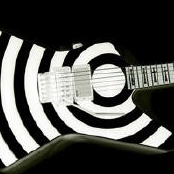 Joel Wanasek runs InsaneGuitar.com, and has written over 42 articles, 6 master classes, and had a book published. Wanasek also plays in a touring national band, and owns a studio (doing work for labels such as Metal Blade, Sumerian, Eulogy and Red Cord). 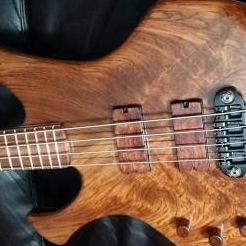 For a free guitar eBook from Wanasek and tons of free guitar lessons from world class players, please visit: InsaneGuitar.com. Alan Williamson is a British instrumental guitarist/composer who paints his musical portraits for all to visualize his thematic landscapes. His latest CD is entitled "Across Angry Skies", featuring his vivid musical journeys. 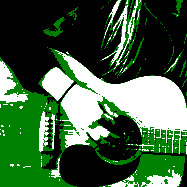 Shelby Williford is a shredder from Tampa, Florida who has recently started teaching guitar lessons. His intention is to make the transition from web designer to guitar teacher upon accumulating enough students. Shelby currently write columns on a regular basis for chopsfromhell.com, theshredzone.com, as well as Rivot Rag (a local magazine dedicated to the metal community in Central Florida). He also has a band called Xtinct, which is pure metal with lots of shred. David Wright has been playing guitar over 20 years and has performed in many styles and situations, currently he is focused on composing and performing original instrumental guitar based music, in the high energy jazz-fusion realm. Henderson and Tribal Tech, among others. His debut album is entitled "Dajinosaurus".